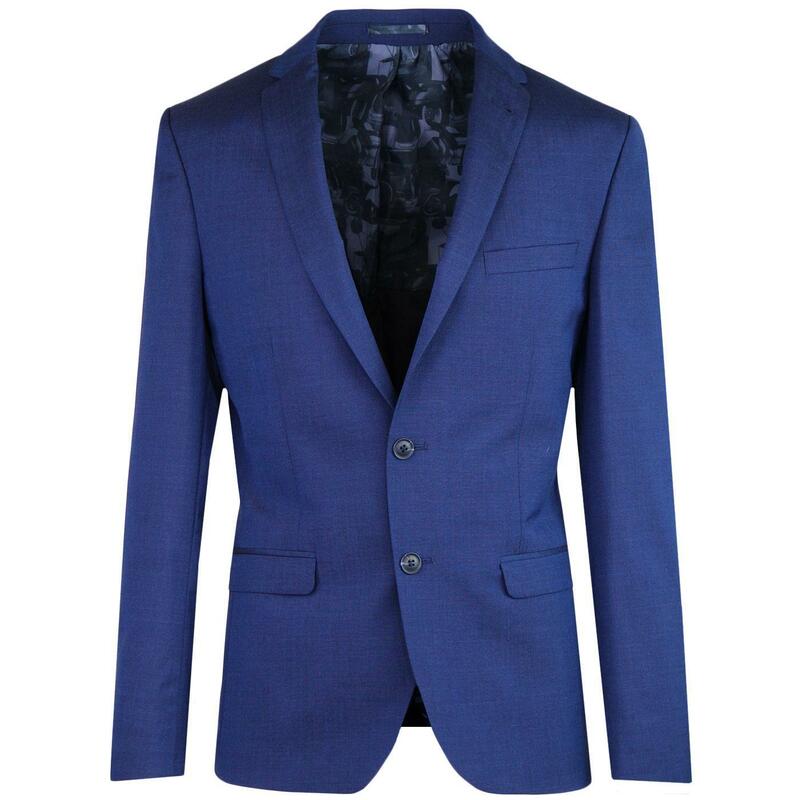 Ben Sherman Tailoring men's Mod Revival style 2 button scooter suit blazer in a striking bright blue tonic fabric. 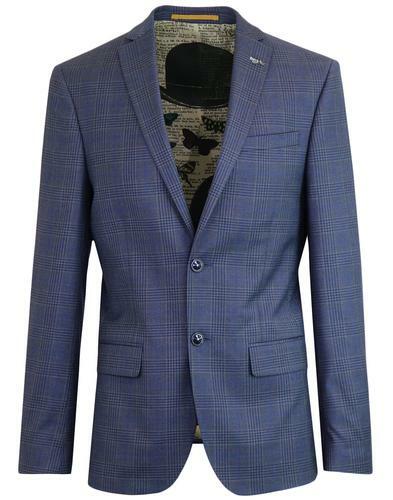 This two tone tonic wool blend slim suit jacket benefits from retro notch lapel, 2 flap side pockets, left breast pocket, 4 button non-working cuffs and centre vent to reverse. 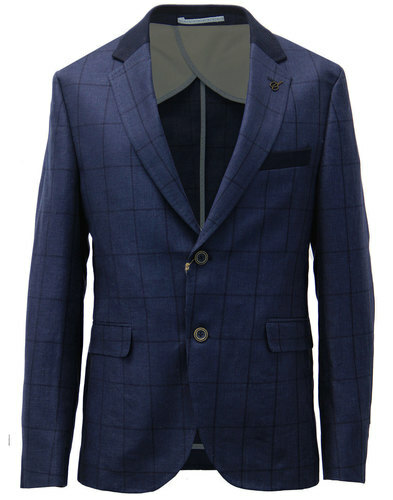 The Mod Revival inspired scooter pattern lining adds the finishing touch to this tailored Ben Sherman suit jacket. 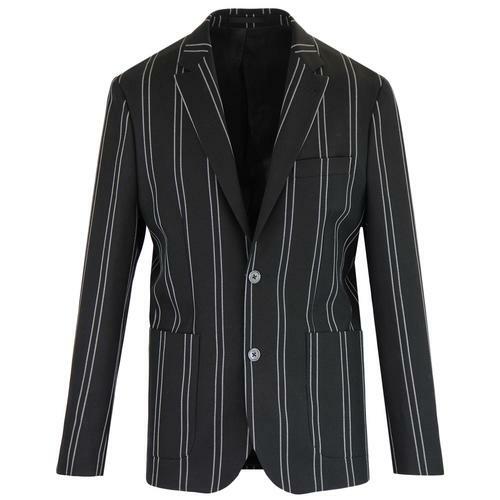 You can team this Ben Sherman Tailoring men's 2 button single breasted tonic scooter suit blazer with the matching retro slim leg trousers and mod V-neck waistcoat to create a super stylish mod 3 piece suit. SKU: 0053189 150 Tonic Suit Jacket.